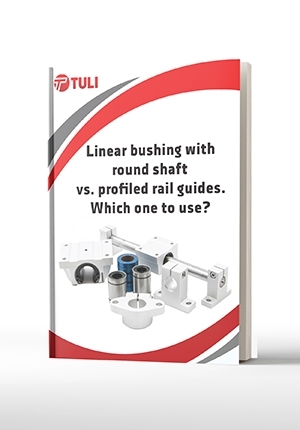 Precision profiled rail guide system is suitable for most demanding applications of linear motion as they occur in CNC machines. You can choose two different classes or precisions (N-normal, H-high) and preload (Z0-zero preload, Z1-light preload). To suit your linear motion demands we offer different types of linear blocks: miniature, normal, slim line and flanged type linear ball bearings. Linear rails and guides can be cut to required length.